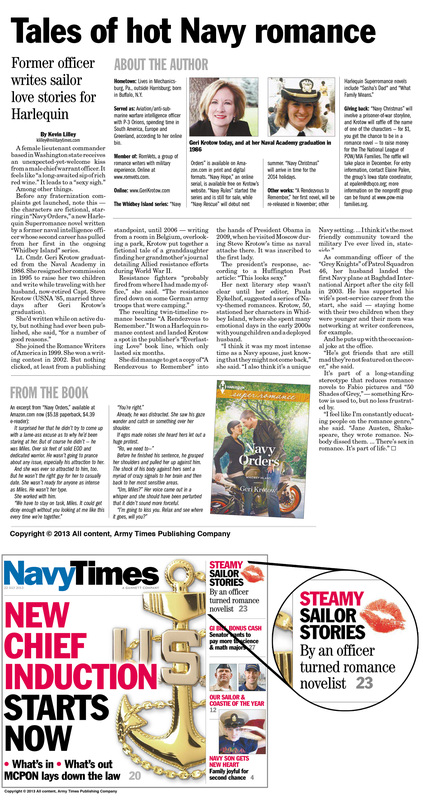 An Interview by Navy Times–We made the Cover Corner, Too! Posted: September 6, 2013 at 7:39 am by Geri Krotow · Comments Off on An Interview by Navy Times–We made the Cover Corner, Too! I was thrilled to be interviewed for NAVY TIMES! ← World War II Wednesday!